For the past few years I’ve had the tradition of running the Clark County Turkey Trot in Vancouver, WA. This year the tradition continued. Unfortunately the weather was not very cooperative this year. I’ve had good luck with Thanksgivings in Vancouver, WA, but this year it was rainy every day we were there, including Thanksgiving. 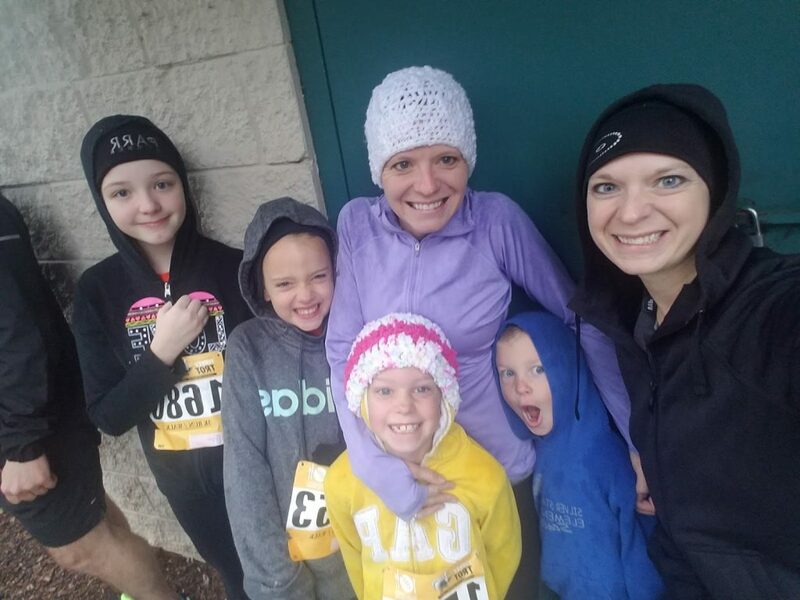 Nevertheless, Cyndi, Paisley, Cosette, Fielding, Kara, Breeana, and I all laced up and headed out early on Thanksgiving morning to do the Turkey Trot. I was the only one signed up for the 10k. 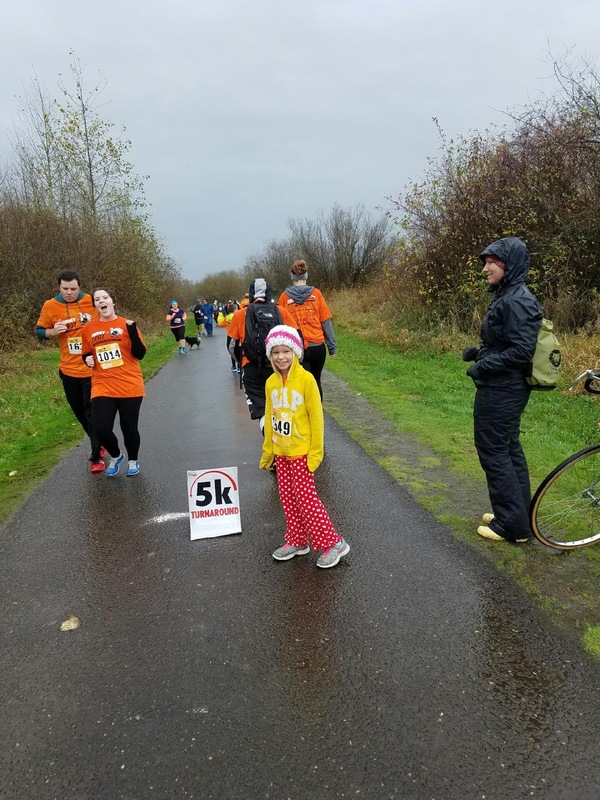 The kids were all signed up for the 5k, and my wife and sister-in-law also ran it so they could provide real-time support for the kids. The Clark County Turkey Trot course was pretty much the same as it has been, with a slight alteration of the start and finish to make it more of a straight-shot and spread out the finish from the snacking area. This was a good change for sure. I lined up near the front of the pack. I hoped to win but was unsure what the competition was like. I also hoped to beat my 2015 time of ~37:27. Once we started there were a few guys that really took off. I reeled in a couple of them after a half mile or so, but I was still in 3rd or 4th. They looked strong and there was no way I could hold that pace for 10K. My first mile came in at 5:51, and that was about as fast as I was willing to go. I hoped to settle somewhere under 6:10/mi. 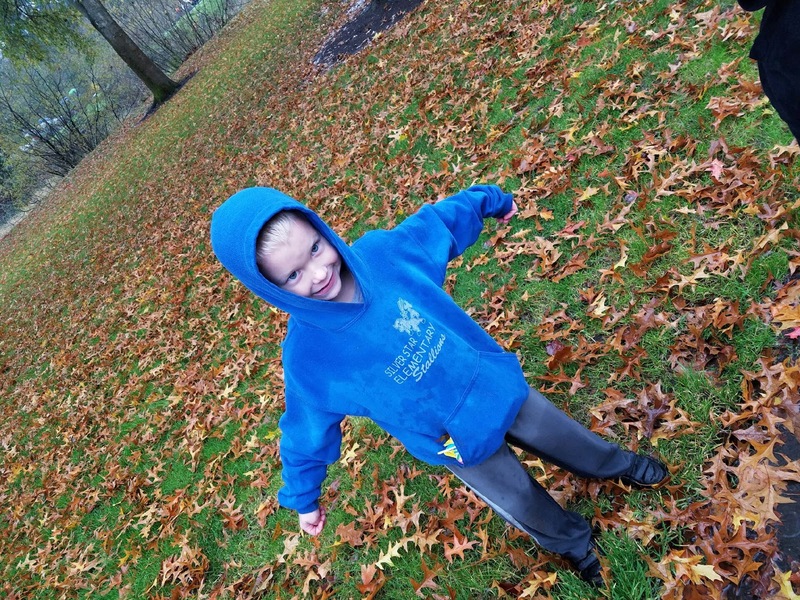 There were lots of puddles and combined with the rain it made for a very wet race. I was pretty wet not long after starting. Fortunately it wasn’t very cold, so I could get away with a short sleeve shirt and gloves. As we came up to the 5K turn-around at Mile 1.6, the guys in front of me began coming back. I had forgotten about the 5K, and I was very happy to see all the runners ahead of me turn around so that I was left in 1st place for the 10K. I was still feeling good, but now the pressure was on. The next couple miles were pretty uneventful. I hit 5:50 for Mile 2 and then 6:04 for Mile 3. At the turn-around I grabbed some water. I had a decent lead on the next runner of perhaps 50-100 yards. There are tiny hills (more like bumps) during miles 2-4. It was nice to have some changing terrain to push up or coast down. I hit 6:05 for Mile 4. I was very happy with my pace and that I was holding at sub 6:10 this far into the race. It’s interesting to me that I have started to be able to naturally find the right pace to run — whether it’s a 5K or 10K or even a marathon. Around Mile 4.5 there is a sharp turn and an opportunity to see how close the next runners are. I was hoping to look back and see no one, but sure enough there was a runner maybe 40 yards back. I tried to pick it up a notch so he wouldn’t catch me. It scared me that there was someone that close behind this far into the race as I wasn’t sure I could out kick him. Soon I came upon the 5K walkers. The main issue with the Clark County Turkey Trot is that the out-and-back course is on a fairly narrow trail. It’s enough for ~4-5 people to walk side-by-side, but when you have walkers coming and going it can easily fill up the route. This results in a lot of weaving, dodging, and running on the grass/mud for those of us trying to make a good time. That said, I realize that this isn’t a “PR course” Turkey Trot. I try to be respectful and I understand that it’s really not a big deal. Due to the walkers, I couldn’t see if the runner behind me was closing in or not, so I just went as hard as I could given the weaving. I did see my wife running with our 5-year-old, so it was fun to give them a yell. The walkers eventually thinned out and I was able to finish strong. Miles 5 and 6 were 5:57 and 6:02. I ended up finishing in 1st place with a time of 37:04. I was happy to see my 9-year-old daughter Paisley waiting for me at the finish (from the 5k). She was able to run the whole way and I was very proud of her (and she was proud of herself). We waited for everyone else to come in. We ate donuts and hot cocoa and the kids got to hit the pinata. It was another great Turkey Trot and a fun way to start the holiday.